The Save the Sebangan Rainforest Fund started by Christina Suntai has collected a healthy Rm21, 874.15 thus far-over 3 months. This goes to disprove the cynics around that the people/public don’t give a hoot about land rights struggle of the indigenous people or the rain-forest / environment. Keep up the good work-and we await the wonder from the work produced by the fund! Source: here. Tuai Rumah Rayang Ak Ringkai of Kg Bait Ili, near Sri Aman passed away yesterday due to high blodd pressure complications -after coming to Kuching to try to file a suit against the logging company encroaching on his land. In the last interview he gave to TV Sarawak Bebas he showed the numerous police reports which he had made against the logging company-but to no avail. The company Tasinmas Project management consultants Sdn Bhd, is believed to be owned by someone close to the CM. According to Jameson, chairperson of the Action Committee of Lun Bawang Land Rights, the 7 persons arrested at the blockade against the Sabah Sarawak Gas Pipeline Project, have to report to police station every month from now onwards. Their case has been forwarded to Miri police and there has not been any charges so far. The chairperson expressed disappointment that the 7 are not discharged since the police has taken a long time to investigate the case. The 7 were arrested after they set up a blockade for 1 week outside Lawas town early November. The case was given substantial report by local alternative media and attracted international attention. Since the arrests the blockade has been dismantled by the police, while the residents start an information campaign to the community to regroup for further action. Numpang charged for criminal intimidation in Serian Court today-encroachers go free! 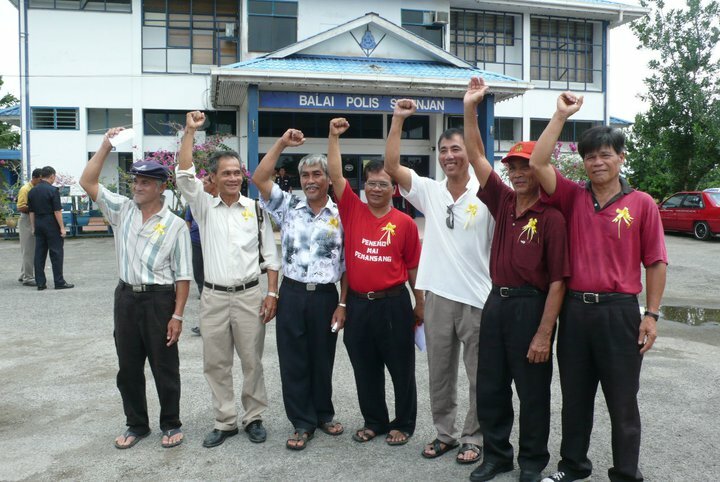 The crowd and lawyer Baru Bian took a picture outside the Serian magistrate court after the mention. The video of the court case is here. Lawyer Baru Bian speak to Sarawaknews to update the court situation on Numpang’s case. 200 supporters turned up to support the case-a landmark case of NCR owners’ resistance to land encroachers linked to the CM. Next hearing is Feb 16-17th 2011. The state government has acquired a land near the city area and intend to pay standard compensation to the landowners at Rm40 000.00/acre, while the market values have gone many times higher. Is the state government trying to execute a get rich quick on the land by selling the land to commercial developer at market values? The question has set the land owners into an unending frenzy of condemnation that would lose the state seats here! KUCHING – Sarawak Chief Minister Abdul Taib Mahmud said the long-standing Bako land issue might come to an end soon as the government planned to come out with a formula and resolve it amicably, The Borneo Post reported Tuesday. Dec 15th-all roads lead to Serian Magistrate court where NCR defender Numpang will be charged! Numpang is 3rd from right. To all relatives in friends and Sarawak, particularly Sebangan and Sebuyau, Numpang Suntai is being called by the Police to come to Serian on Dec 15 Wed @ 8:00 am. Please come to Serian in support of my brother Numpang Suntai. Please show your support to Numpang who is being summoned by Polic…e. 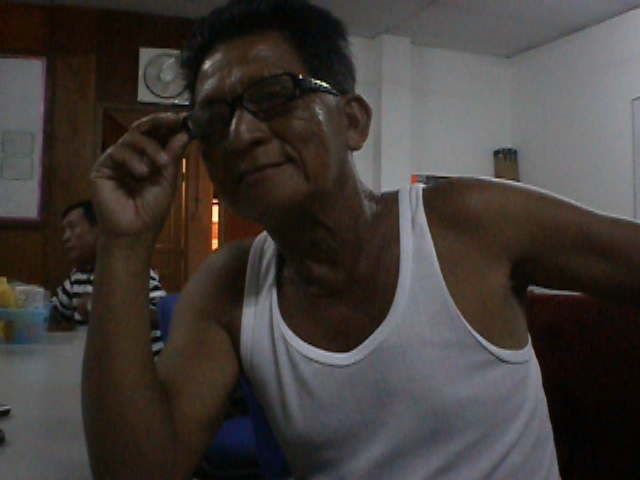 As far as I know, he is the only one of the Sebangan 7 that is being called!!!! 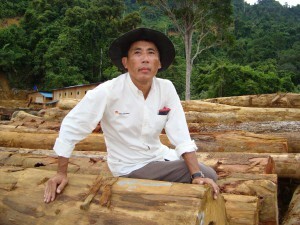 UPDATE: Numpang Suntai will be charged in Serian court tomorrow morning for alleged criminal intimidation, after the villagers initiate a suit against the logging company shareholders which include CM Taib Mahmud’s sister. Friends and relatives of Numpang are expected to come to the court to give the NCR owner moral support. The case may prove to be the focus of attention for Sarawak’s simmering state-wide NCR struggles, coming as it were just before an imminent state election!